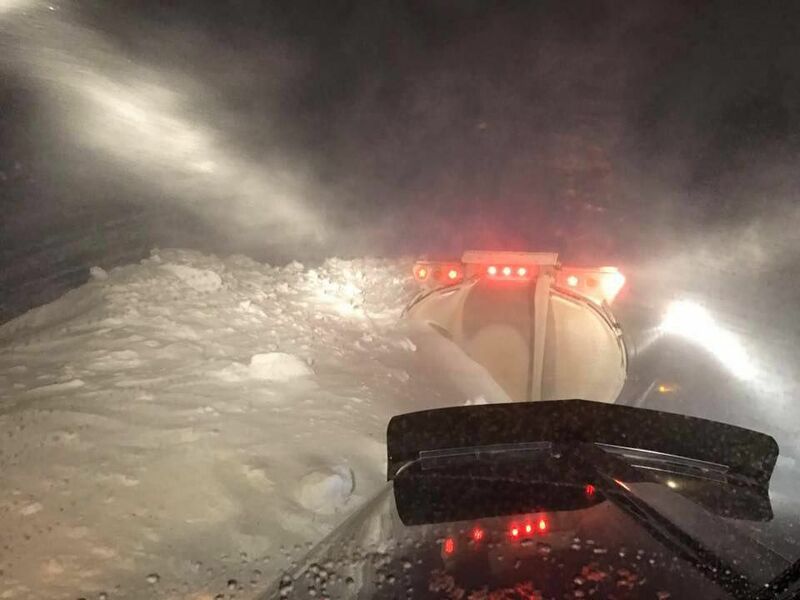 Two truckers were caught in an avalanche Monday night on the Dalton. Jack was not involved and neither of the drivers were seriously hurt. The road is now closed and the State is working on trying to trigger avalanches before they reopen. We’ve had tons of snow, seems like a record breaking year for snow actually, but for some reason no one made the decision to deal with this before it got to this point. “One of the trucks that was stuck was a tanker carrying methanol; the other one carried glycol. When the highway reopens, the state Department of Environmental Conservation will evaluate whether there were any spills. The other two trucks were able to proceed with minimal assistance from a Department of Transportation crew, Bailey said. This entry was posted in Trucking and tagged alaska, atigun pass, avalanche, dalton highway, drive, highway, ice road truckers, jack jessee, nature, road, road closure, snow, tractor, trailer, transportation, truck, trucker, trucking, vehicle, winter. ← Even Texas looks like Alaska! Oh my gosh! Hope they’re ok. Sounds like you’ve gotten some of the snow we were supposed to get this winter. We’ve barely had any. I haven’t thought about avalanches since we lived in Colorado. Remarkable! Its truly remarkable paragraph, I have got much clear idea regarding from this paragraph. I had been missing the and did not know answer.. Comp0uter had label them junk and put them in different place. Thank I always enjoyed watching. I guess all got a good shaking.